TAMPA, FL (January 29, 2018) – Coldwell Banker Residential Real Estate is pleased to announce the Premier Choice Properties Inc. Bonneau Team, comprised of John and Donna Bonneau, has affiliated with its South Tampa office. A greater Tampa Bay-based independent brokerage, the team operates as a full-service, Westchase-area residential real estate group. The top-performing real estate professionals, who have closed nearly $200 million in sales volume since the team’s founding, will contribute to Coldwell Banker’s talented Tampa Bay metropolitan sales presence. Coldwell Banker Residential Real Estate is a leading full-service residential real estate brokerage company with more than 85 offices and 5,000 sales associates serving the communities of Central Florida, Flagler, Brevard, Palm Beach, Southeast Florida, Southwest Florida, Tampa Bay and the Panhandle. Worldwide, the Coldwell Banker network includes 3,000 offices with nearly 85,000 sales associates. 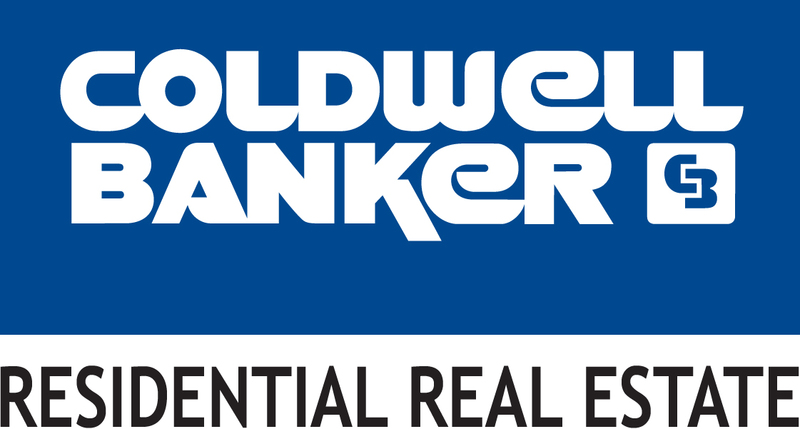 Coldwell Banker Residential Real Estate is a subsidiary of NRT LLC, the nation’s largest residential real estate brokerage company. Tampa, Florida, January 28, 2016 — JOHN BONNEAU broker-owner of PREMIER CHOICE PROPERTIES in Westchase Tampa, Florida has earned the nationally recognized Military Relocation Professional (MRP) Certification. The National Association of REALTORS® confers the MRP certification to REALTORS® who want to help military personnel and veterans find housing solutions that best meet their needs and allow them to take full advantage of their military benefits. “Homeownership is an important part of the fabric of America, and having a stable home environment is vital when men and women of the military are called away to serve their country. Working with a REALTORÒ who understands specific needs and timetables related to military service will help make their transfers easier, faster and less stressful,” said NAR President Gary Thomas, broker-owner of Evergreen Realty, in Villa Park, Calif. “The Military Relocation Professional certification will help REALTORSÒ hone their knowledge and skills for working with veterans and active duty military buyers and sellers to ensure that homeownership remains affordable and accessible to them.” The certification provides NAR’s members with resources to accommodate current and former military service members at any stage of their military career. Subscribing to a strict code of ethics, you can rest assured your dealing with a trained real estate expert who will treat you fairly and professionally every step of the way. John is originally from Northern Virginia and moved to Westchase Tampa, Florida in 2001 to start his career in real estate. John, always a strong competitor, rapidly progressed from a REALTOR® associate to a top producing Broker/Owner, launching Premier Choice Properties, Inc. in 2004. Completing a rigorous course of advanced education in finance, technology and marketing, John brings significant experience handling a large number and variety of real estate transactions with over $175 million in closed residential sales and a growing list of satisfied clients. Tampa, Florida March 9, 2014—John Bonneau with PREMIER CHOICE PROPERTIES, INC. has been awarded the Seniors Real Estate Specialist (SRES®) designation by the Seniors Real Estate Specialist Council of the NATIONAL ASSOCIATION OF REALTORS® (NAR). John Bonneau joins more than 16,000 real estate professionals in North America who have earned the SRES® designation. All were required to successfully complete a comprehensive course in understanding the needs, considerations, and goals of real estate buyers and sellers aged 55 and older. You may contact the Seniors Real Estate Specialist Council by telephone, (800)500-4564, by e-mail, [SRES@realtors.org], or by visiting the SRES Web site, [www.sres.org]. Premier Choice Properties, Inc., a Real Estate company located at 12551 Bassbrook Ln, announced today that it has met the accreditation standards required by the Better Business Bureau for membership with the organization. Premier Choice Properties, Inc. really wants potential customers to feel comfortable when choosing them. The BBB seal will help customers understand who they are and the core values they believe in. Being affiliated with the BBB shows Premier Choice Properties, Inc. is one of a select group of businesses in our community that not only supports the BBB's services but also subscribes to the idea that ethical business is good business and that you "deliver trust" by treating the public in a fair and honest manner. Premier Choice Properties: John and Donna Bonneau. Moving is stressful, but less than a year after moving to the Westchase community in 2001, John and Donna Bonneau became two of the top agents in the area – due to their hard work and commitment to their clients. In 2004 they used their knowledge and expertise to open Premier Choice Properties – an independent real estate agency that offers flexibility and customized solutions for the always-changing real estate market. Since the opening of Premier Choice Properties, they have developed a loyal and satisfied list of clients. Because they are the owners and the brokers, they are able to adapt each contract to meet the client’s situation, helping them make the best choices when buying or selling a home. Both buyers and sellers benefit from the Bonneaus’ expertise and knowledge of the area. Before they put your home on the market John and Donna walk through it with you to make a list of trouble spots and what needs to be fixed. Donna, an Accredited Home Stager AHS and Luxury Home Specialist ALHS, provides each client with complimentary home staging tips and every listing has plenty of high-definition photos of the home and community and informative descriptions to entice potential buyers to come take a look. Both John and Donna are Licensed Real Estate Brokers and John is an Accredited Buyers Representative ABR and a Certified Residential Specialist CRS – a designation only 4% of realtors have earned. For their clients this means they are constantly learning about the changes in real estate and using that knowledge to help you. The Bonneaus are committed to helping their clients get results. They start this by building a great listing to give potential buyers plenty of information. Many independent studies show that better listings with more photos attract more visitors; the photos keeps buyers looking at your home longer and generate more quality buyer leads. John and Donna understand this and take beautiful high-quality photos of your home and include as many as they can in the listing. They know that potential buyers want information about a home before they go look at it and they provide detailed information in each listing about the home and the community. This attracts more attention from potential buyers and ensures that inquiries are serious ones. Their listings also include mapping with satellite imagery, virtual/video tours and other features to showcase the property. John and Donna develop a customized marketing plan for each home they sell, outlining when, where and how they are going to market your home. Homes they sell are featured in local publications like the Neighborhood News and World of Westchase and listed in the Mid Florida Regional MLS and on dozen of big-name online sites such as Realtor.com, YouTube, Zillow, Trulia and Facebook. Throughout the time your home is for sale, John and Donna keep you informed with weekly seller’s reports. You’ll get an email every week that is loaded with valuable statistics, charts and graphs which will tell you the number of buyers that viewed your home online and detail the history of the virtual tour. In addition, all showing agents are asked to fill in a quick survey on how the property showed – this report is also mailed to you weekly. The feedback report answers questions like: How did the home show? Is it priced right? Is there any interest? The proof that any business is doing a great job can be found in what clients have to say. And John and Donna Bonneau have many satisfied, happy clients – both home sellers and buyers who they have helped through a potentially stressful time. If you are in the market to buy a house or want to sell yours, you want two dedicated full-time real estate professionals like the Bonneau Team working for you to make sure you make the best choices – providing an outcome that is happy for everyone! Premier Choice Properties is located in the Hampton Lakes Town Center at 12551 Bassbrook Lane in Tampa. For more information or to schedule an appointment with John and Donna Bonneau call their office at (813) 855-8000, their direct line at (813) 767-9937, email Bonneauteam@realtor.com or visit www.premierchoiceproperties.com. Designation from The Luxury Home Council, Inc. Luxury Home Council, each member must successfully complete the Accredited Luxury Home Specialist Course, meet minimum sale requirements and the agent must be in good standing with the National Association of REALTORS® or the National Association of Home Builders. Donna joins an elite membership of top real estate agents throughout the United States and Canada. Members strive to provide exceptional service to affluent clients through rigorous education focusing on the Luxury Home Market and their understanding of the special demands of affluent buyers and sellers. For more information contact Donna Bonneau at 813-855-8000 or The Luxury Home Council at www.LuxuryHomeCouncil.com. Westchase Tampa, Florida – John Bonneau Broker/Owner of Premier Choice Properties, Inc. has been awarded the National Association of REALTORS®’ [NAR’s] Green Designation, the only green real estate professional designation recognized by NAR. Bonneau achieved this prestigious designation after completing the required course work designed specifically for REALTORS®. The courses were created in collaboration with a multidisciplinary team of industry experts from across the country; ensuring designees gain comprehensive knowledge of green homes and buildings and issues of sustainability in relation to real estate. More specifically, Bonneau was trained in understanding what makes a property green, helping clients evaluate the cost/benefits of green building features and practices, distinguishing between industry rating and classification systems, listing and marketing green homes and buildings, discussing the financial grants and incentives available to homeowners, and helping consumers see a property’s green potential. “Living green is about making healthy choices that are also easy on your wallet. NAR Green Designees have the necessary resources & relationships to effectively work with you on your next green project.” said Al Medina, Director of NAR’s Green Designation. NAR’s Green Designation was developed in response to growing consumer awareness of the benefits of resource-efficient homes and buildings. The designation helps consumers who care about energy efficiency and sustainable building practices identify REALTORS® who can help them realize their green real estate and lifestyle goals. DESIGNATION BY THE COUNCIL OF RESIDENTIAL SPECIALISTS. Westchase Tampa, Florida, April 3, 2010-John Bonneau, a Westchase Realtor® has been awarded the prestigious Certified Residential Specialist (CRS) Designation by the Council of Residential Specialists, the largest not-for-profit affiliate of the National Association of Realtors®. Realtors who receive the CRS Designation have completed advanced courses and have demonstrated professional expertise in the field of residential real estate. Fewer than 40,000 Realtors® nationwide have earned the credential. Home buyers and sellers can be assured that CRS Designees subscribe to the strict Realtors® code of ethics, have access to the latest technology and are specialists in helping clients maximize profits and minimize costs when buying or selling a home. John Bonneau is the Broker/Owner of Premier Choice Properties, Inc. He is a member of the Greater Tampa Association of REALTORS. Westchase Tampa, Florida, February 24, 2010 — John Bonneau Broker/Owner of Premier Choice Properties Inc., has earned the nationally recognized Short Sales and Foreclosure Resource certification. The National Association of REALTORS® offers the SFR certification to REALTORS® who want to help both buyers and sellers navigate these complicated transactions, as demand for professional expertise with distressed sales grows. A FLORIDA REALTOR® was recently awarded the Graduate REALTOR® Institute (GRI) designation. The Greater Tampa Association of REALTORS member who completed the curriculum required to achieve the highly acclaimed designation is John Bonneau of Tampa, Florida. He joins other top producers in the residential real estate industry who hold the designation across the nation. Bonneau earned the "Graduate REALTOR® Institute” (GRI) designation by attending a specific, intensive series of a minimum of 90 hours of classroom instruction, covering a variety of subjects including: contract law, professional standards, sales and marketing, finance, and risk reduction. In addition, they have learned the fundamentals of brokerage and other areas of real estate specialization. With this designation and through increased awareness of current topics important to the real estate professional, such as legal issues, these REALTORS® can better serve prospective clients and customers. The REALTOR® Institute is designed to educate practitioners about local, state and national real estate practices that affect them, their clients and customers. The Institute is taught by leading real estate professionals from around the country. The GRI designation sets the individuals who have attained it apart from other practitioners because it indicates to the public that the individual has obtained a professional educational foundation on which to base the services they provide and that they are a member of the NATIONAL ASSOCIATION OF REALTORS®. Westchase Tampa, Florida July 01, 2008 - Donna Bonneau, a member of the Greater Tampa Asociation of Realtors, was recently awarded the Accredited Home-Staging Specialist (AHS) designation. Bonneau joins a select and growing group of real estate agents who have recognized the importance of providing this value-added service to their clients. In today’s increasingly competitive real estate market, these trained agents set themselves apart by helping homeowners market and showcase their homes for maximum impact to potential buyers. Bonneau earned the AHS designation by completing the prescribed online coursework and completing an end-of-course competency-based test. The Accredited Home-Staging Course is designed to provide agents with the tools and knowledge they need to effectively stage a home for a faster sale and higher sales price. In fact, research has shown that properly staged homes sell for 5% more on average than non-staged homes and sell approximately 2-3 weeks faster. Armed with the AHS designation and an increased awareness of the principles of staging, real estate professionals such as Donna Bonneau are immediately able to better serve their current and prospective home sellers. This knowledge sets the individuals who have attained the AHS apart from their peers, because it gives them the tools to be able to assess a a homeowner’s property and then stage that property to maximize appeal and speed the sales process, often with little or no expenditures or financial investment of their own. For general information visit www.stagingspecialist.com, and for specific help on how the benefits of staging might help sell your home, contact Donna Bonneau, your local Accredited Home-Staging Specialist at 813-855-8000. John Bonneau of Premier Choice Properties, Inc., has successfully completed the e-PRO®Certification Program and has been awarded the e-PRO® Certification, the official technology certification program offered by the NATIONAL ASSOCIATION OF REALTORS® (NAR). John joins more than 30,000 real estate professionals who have earned NAR’s e-PRO® certification and dedicated time and effort towards learning how to use the latest social media technologies to create an online presence and reach today’s hyper-connected consumers. Working together with the Social Media Marketing Institute (SMMI), NAR redesigned the e-PRO® curriculum to better meet the challenges of today’s real estate market. The new e-PRO® program expands an agent’s real estate technology skills and helps them connect with consumers online via social media, email marketing, and web site promotion. Social media is still relatively new and evolving every day. Agents who earn e-PRO®are dedicated to making the most of today's social media and technology to help consumers with their real estate needs, whatever they may be. For more information about e-PRO®, visit ePRONAR.com or contact John Bonneau of Premier Choice Properties, Inc. at Bonneauteam@realtor.com or call 813 855-8000. Westchase, Tampa, Florida John Bonneau Broker/Owner of Premier Choice Properties, Inc., has been awarded the Accredited Buyer’s Representation (ABR®) designation by the Real Estate Buyer’s Agent Council. (REBAC) of the NATIONAL ASSOCIATION OF REALTORS®(NAR). John Bonneau joins more than 30,000 real estate professionals in North America who have earned the ABR®designation. All were required to successfully complete a comprehensive course in buyer representation and an elective course focusing on a buyer representation specialty, both in addition to submitting documentation verifying professional experience. REBAC, founded in 1988, is the world's largest association of real estate professionals focusing specifically on representing the real estate buyer. There are more than 40,000 active members of the organization world-wide. THE NATIONAL ASSOCIATION OF REALTORS®, "The Voice for Real Estate," is the world's largest professional association, representing over 1,000,000 members involved in all aspects of the real estate industry. You may contact the Real Estate Buyer’s Agent Council by telephone, (800) 648-6224, by e-mail, [rebac@realtors.org], or by visiting the REBAC website, [www.REBAC.net].